*They* say its the ugliest building. *They* say it ‘sets a new benchmark for dystopian dysfunction’. I think that’s why i love it even more. Our offices are near here and I think it is a fantastic building in an incredible location – also brilliant restaurants opening up everyday in the area and so much development happening. Situated in the heart of Victoria is a development that has divided many over its appearance. Stunningly modern to some, downright ugly to others, the Nova Building has certainly been talked about since its inception. 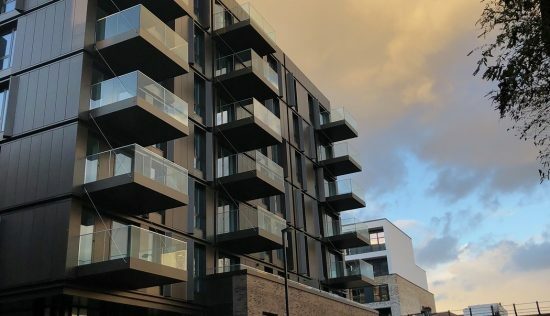 Developed by Land Securities, with a design team of Benson and Forsyth and Flint Interiors, there are 170 units within the residential section of the site, housing two and three-bedroom apartments, and four-bedroom townhouses. With prices starting at a bank breaking £2.4million, it’s clear you’re in a very prestigious part of town overlooking the gardens of neighbouring Buckingham Palace, no less. The whole area of Victoria has undergone a very extensive facelift, giving a sense of vibrancy and relevance to a neighbourhood so steeped in history a plethora of retail units, offices and restaurants have opened, making it an incredibly exciting place to live and visit. 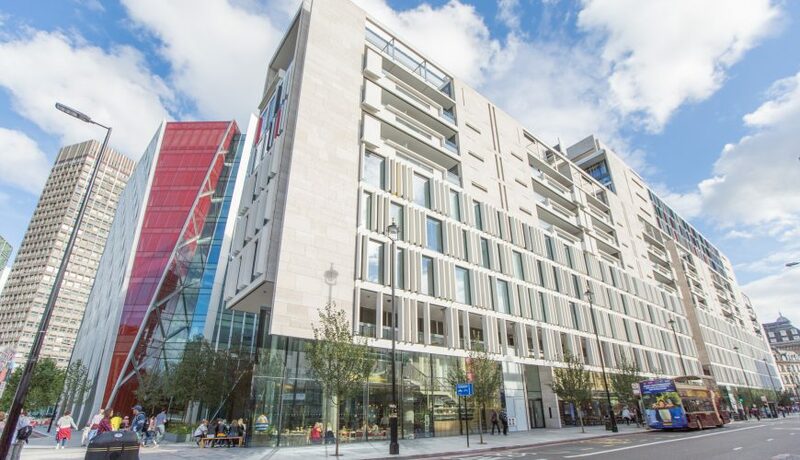 The Nova Building is just a one-minute stroll from Victoria Station, which connects with the District, Circle and Victoria lines, along with plenty of Overground services to the south of England. You can reach Bond Street in eight minutes, Knightsbridge in nine, and London Heathrow Airport in 37 minutes. There’s also a Victoria Coach Station, with routes covering London and the whole of the UK. It’s not all about the public transport, though the beauty of the borough of Westminster is that everywhere is eminently walkable, from neighbouring Mayfair and Pimlico to the cultural attractions of Soho and Covent Garden. Also, who can forget the acres of Royal Parks, like Green Park, St James’s Park and Kensington Gardens right on the doorstep. 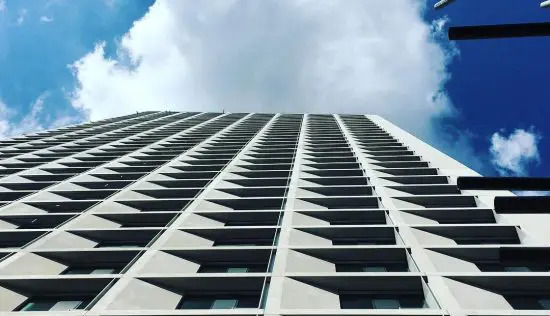 Within the Nova Building itself, it offers up a wealth of luxury shopping and fine dining, including the likes of Aster by DandD London to Rail House Cafe by Adam White. Residents will also enjoy first-class amenities like a 24-hour concierge service, a private residents’ lounge, gym facilities, a cinema and a business centre. There’s also secure underground parking available for a fee of £85,000. Topping everything off, figuratively and literally, is the ninth floor roof garden and terrace, which affords residents views over the palace’s gardens and the capital’s cityscape. Starting on the inside, the decor is beautifully modern and effortlessly chic, all velvets, metallics and dark-wood floors. Kitchens designed by Flanagan Lawrence boast brushed oak timber veneer or colour backed satin glass cupboard fronts, honed worktops, Pietra Cardosa limestone and integrated Miele appliances. Bathrooms flaunt large marble slab tiles, grey tones, polished chrome Hansgrohe brassware, sanitaryware by Duravit and bespoke mirrored vanity cabinets. Over in the bedrooms, you’ll find made-to-measure bespoke wardrobes, premium grade flooring and calming palettes. The penthouses, meanwhile, offer an even more luxurious specification, featuring finishes like bespoke stainless steel, Slovenian limestone and Italian marble. It is the exterior of the building that is slightly less timeless. Bold choices were made by Benson and Forsyth, with vivid hues punctuating the vertical columns, resembling a messy bookshelf of sorts. The question is, will it date quickly, the way other coloured exteriors have across the capital? Only time will tell. Prices are high, but the location and deluxe facilities will certainly attract plenty of attention and offers. Other developments to consider in this area are Kings Gate and Abell and Cleland. Modern and well linked up Nova. The Nova Building is an incredibly stylish top end development in one of the best locations in central London: Victoria. It has been done very well and is in keeping with the other commercial and residential developments of Victoria. It is only a couple minutes walk from Victoria station, which is on the District, Circle and Victoria underground lines as well as the coach station which is where many bus routes start and end; there is also the Gatwick express and other train lines to parts of the south of England. These incredible transport links make it one of a kind and very appealing to potential residents who work in London. It is the epicentre of central London as it is within walking distance of Buckingham Palace, the Houses of Parliament, the Embankment, Green Park, and Chelsea and Belgravia. It is a very busy and lively place with many businesses set up in the commercial spaces in the redeveloped victoria yet it also has a great social aspect to it with many pubs, bars and cafes nearby as well as the Victoria Apollo Theatre which is bound to be busy when Broadways Hamilton is put on there. The Nova building itself has pedestrianized street on one side packed with cafes and shops. The development is high end with an expensive service charge of GBP10 per square foot. The amenities include; a roof garden, a residents lounge and cinema as well as gym and business centre. Parking is available and there are lifts that can take you straight to your floor. To get parking in a place as busy as Victoria is pretty rare and it makes the development much more appealing. 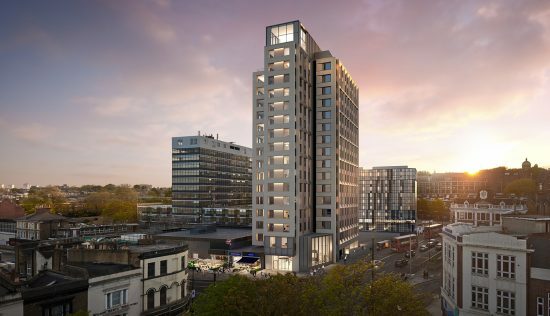 There is quite an international crowd in terms of buyers, but that is not surprising asÂ The Nova Building is pretty hot real estate in the centre of London. The development itself is quite small, which means that it does not have any large green spaces or courtyards (however the pedestrianized street does have a similar effect). It has a very exposed feel with busy traffic surrounding it and it along with the other huge buildings in the redeveloped victoria it could feel perhaps a little overwhelming and claustrophobic. The Nova Building lacks an openness that can be found in developments on the river or with more space, but that is the price you may for such a great location and the roof garden goes some way to rectify this claustrophobic feel. The Nova Building is very well linked and very well done up. It has great links to the city but is also near Kensington and Chelsea which has great social life. The flats are done to a very high standard and are high-specification with marble tops and oak floors. The roof top garden is a really nice addition and it has spectacular views of London. I think that it will also help to make the Nova Building more social. It is certainly at the higher end of apartments in London and an indicator of that is the 85,000 pound charge for a parking space. However, what you are paying for is not only the fact that it is a very modern and desirable residents but the fantastic location. Yet for someone looking to bring their kids to London for a few days a week say, or even raise a family, you may want to consider looking somewhere else as Victoria is loud and can be hectic with lots of busy roads and lots of traffic. Despite that, it is near Green Park and the river which would be nice for kids. But driving in and out of Victoria at the weekends can be a bit of a nightmare and if you are looking for somewhere which is a part-time residence, try looking at somewhere with better road routes out of London. The Nova Building is Stylish. For a fast paced life. 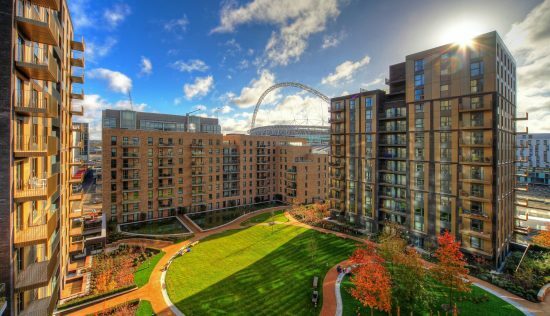 The Nova Building is a perfect place for someone working long hours and living in London. 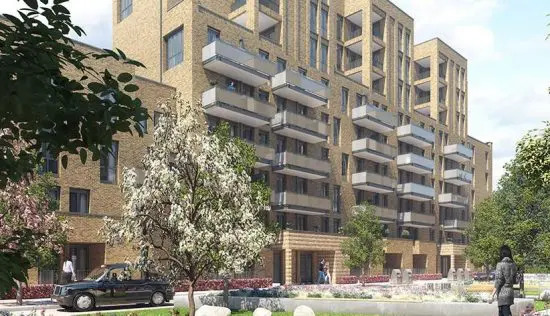 I would be able to commute to the City very easily along the Circle and District Line and yet have everything I want within walking distance of my home and some of it, such as gym and a parking space, inside the building. The fact that there is so much available within theÂ Nova Building and in the immediate surroundings makes it a very desirable place to live. The Victoria redevelopment is very smart and modern, but still underway and there appears to be some construction going on behind the nova building. Besides this and the rather steep price, it seems pretty perfect! The Nova Building is very well done with 24hour concierge and residents lounge that I find very appealing as well as the fact that I can walk into it off the street with ease and that it is not tucked away in a huge development park. There are also cafes and restaurants in and around the Nova building which make it very attractive as from a social aspect. It contains, studio, one, two and three bedroom flats as well as penthouses which I think will give it a diverse standard of living. The atmosphere surrounding the development is very busy and fast-paced with a road running down the longs side of one of the faces of the development. Therefore, it is ideal for someone who enjoys the vibrant nature of the city.